Arecont Vision Costar, LLC is a US-based company founded in 2018. Our headquarters, R&D, manufacturing, and support are in Glendale, Los Angeles County, California, and the company is a business unit of Costar Technologies, Inc. (OTC Markets Group: CSTI), based in Coppell, Texas. Visit Costar online by clicking here. 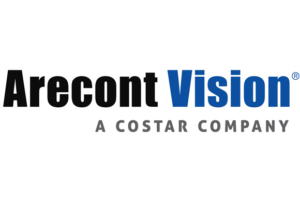 In July, 2018, the original Arecont Vision, LLC was acquired by Costar, a US corporation that designs, develops, manufactures, and distributes a full range of proven products for the video surveillance and machine vision markets. The executive leadership, most employees at time of purchase, and all of Arecont Vision’s technology, trademarks, and patents are now part of the new Arecont Vision Costar. Manufacturing, sales, support, and all other functions continue as before, serving our customers around the world. The product line continues to grow, with the addition of the Arecont Vision Total Video Solution™, composed of advanced megapixel cameras, cloud-enabled video management systems, web services, and network-managed video recorders. Arecont Vision Costar continues to build upon the outstanding legacy of the original Arecont Vision, which contributed more to the development of megapixel camera technology for professional security applications than any other camera manufacturer (see our “Industry Firsts” list below). With Arecont Vision megapixel camera base exceeding well over a million Made-in-USA units prior to becoming part of Costar, customers around the world rely on our products every minute of every day.